Interdrone 2018 is alive and well this week, with today marking the drone palooza’s final day. Interdrone is one of the largest drone conferences in the world, and returned to Las Vegas, Nevada for its fourth year in a row this week. New drones from Parrot (the Ebee X and the ANAFI Work): Parrot used Interdrone to launch two new drones to its professional or enterprise collection of drones. The eBee X is a fixed-wing drone made by the senseFly arm of the company. It primarily targets mapping clients, capable of land surveying and topographic mapping to urban planning, crop mapping, thermal mapping and environmental monitoring. The $1,099 ANAFI Work is a 4K, foldable drone targeted at pretty much every other business use case, such as construction professionals, independent contractors, site managers and architects. It is supposedly an improvement upon the $700 ANAFI drone, which launched earlier this summer as a competitor to DJI’s Mavic Line (and which received mostly unfavorable reviews, especially when compared against DJI’s robust mix of drones). 2. AirMap furthers investments in UTM with pre-integration of AirMap Platform SDK in QGroundControl: AirMap has always had its foot in the door as being a leader in the integration of drones into air traffic. The drone software startup has always been presented in conversations with NASA, the FAA and other leaders in making its voice heard (and products seen) when it comes to unmanned traffic management (UTM). And this week, the California-based company announced that it would integrate the AirMap Platform SDK, an open source version of the AirMap SDK, into QGroundControl, the standard open source ground control station for drones. This is potentially use news, if developers decide to adopt AirMap, over other competing UTM providers. 3. Autonomous charging systems for drones: The drones fly themselves, but the next step is getting them to charge themselves. This year, Interdrone saw next-level autonomy being displayed, such as the WiBotic wireless power system for DJI Matrice 200 Series drones, which uses a combination of induction and magnetic resonance charging to allow drones to charge on a pad — no cables required. Qualcomm-Ventures backed start-up Skysense also revealed a High Power Drone Charging Infrastructure, which claims it can charge drones within only 30-to-60 minutes. 4. FAA Acting Administrator Daniel Elwell’s keynote presentation: This is the third consecutive year that a representative from the Federal Aviation Administration has given the grand keynote at an Interdrone conference. Elwell took over the role as head of the FAA earlier this year, replacing Michael Huerta. Elwell has been pushing for some sort of drone ID requirement for a while now, so it’s no surprise that his keynote referenced progress on that front. With that, Elwell took a pretty clear stance on requiring every drone to have remote ID. He also added that the FAA is currently held back by established law on model aircraft, which prevents that level of regulatory enforcement on manufacturers. 5. DroneInsurance makes big moves: DroneInsurance.com has landed some big deals with players in the drone industry, furthering its status as a big player in the drone insurance market. 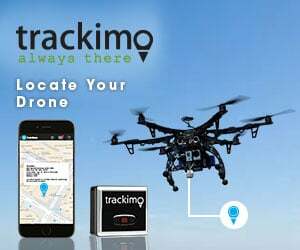 AirMap and DroneInsurance.com announced a collaboration that allows U.S.-based drone operators to purchase insurance from inside the AirMap for Drones app. Insurtech startup REIN, which operates DroneInsurance.com, this week also announced that it had landed a massive partnership with AeroVironment to offer commercial drone insurance solutions for the Quantix. 6. Skydio launches developer platform: The company that makes the Skydio R1 drone, a ridiculously smart, consumer-focused drone with 13 cameras surrounding it on all sides, this week launched its “Autonomy Platform” to enable third-party developers to build on top of R1’s autonomy engine. Skydio also improved its own software, adding new types of cinematic maneuvers, including shots such as Dronie and Rocket. 7. Drones for rent: In other Skydio news, the drone maker also announced that it would make its drones available for rent. That could be appealing, since the biggest downfall of the R1 is the high price point. Skydio now partners with Omni, a rentals company, to allow consumers to use the R1 for shorter periods of time. That service is available in the Bay Area and soon Portland. 8. Another huge women and drones luncheon: This is my favorite events of Interdrone, and I’m so glad the organizers make room in the budget for it. This year also included some awards! What were some of the personal highlights for you? Leave a comment below!